Buy quality cabinets need "four look"
Cabinets are very important in family life. How to buy cabinets with good quality and low price is also a matter of great concern to everyone. When choosing a cabinet, there are four main points of choice that are important. Look at the hardware. The basic hardware accessories for the cabinets are hinges and drawers (slides). The quality of cabinet hardware is directly related to the service life and price of the cabinet. Better cabinets generally use imported hinges and drawers (slides). The world's famous hardware brands are Hettich, Ferrari, Blum and so on, and their service life is generally more than 100,000 times. In addition, an important condition for measuring the price-performance ratio of a set of cabinets is a drawer (slide rail). In general, there are standard wooden drawers and metal drawers. With the increase in the level of needs, metal drawers have gradually become the mainstream of the market, wooden drawers are mostly used for low-cost cabinets. Second look at the material. Materials are the main factors affecting the quality of cabinets. Different materials ultimately result in different quality results and prices are different. Cabinet material is mainly chipboard, density board. Among the imported particleboards, the Austrian love family and Italy's Sily board are common in the market, and the performance in all aspects is very good. However, the prices of cabinets using this material are relatively high. In the domestic particle board, there are common brands such as Lushuihe and Aipu. All of them are manufactured using imported designs, and the veneers are also imported. They have good load-bearing properties and are not easily deformed. At the same time, environmental protection has reached the E1 standard. Three to see work. 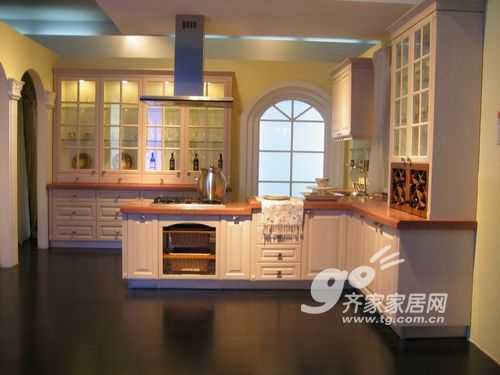 Appearance should be to see whether the cabinet door, cabinet edge banding, etc. are neat and smooth. Cabinets with machine edge, the appearance of smooth, smooth feel. The long-term use of such products will not open glue, blistering and deformation. The ability to design and produce using the 32mm process is also an important condition for measuring cabinet quality. Using the 32mm process for design and production will not only improve production efficiency, but also improve and ensure product quality. The most obvious mark of 32mm is the two rows of system holes on the side panel, which can be accurately installed by the system. Some manufacturers' products also have system holes, but they are not fully applied or will not be applied. Please pay attention to this issue when purchasing. Four to see service. For any product, after-sales service is very important. Good service is part of the value of the product. For example, the warranty period, some products are one year, some products are two years, and some are five years. Manufacturers who dare to protect for five years will definitely demand higher quality in the aspects of materials and manufacturing, and they are also the most affordable for consumers. Many small factories have very cheap products, but the warranty period is very short or there is no warranty. Once a problem is solved, it is difficult to get a reasonable solution. Therefore, consumers must be aware of product warranty issues when ordering cabinets.